Thank you so much Fyrehaar for the lovely addition to my bookshelves! 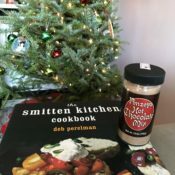 I’m already looking at what to cook this weekend. 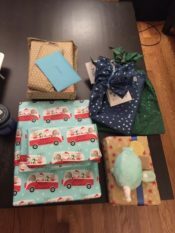 Share the post "Book Exchange Thank You!" Thanks Jennie for my CBR10 book exchange gifts! 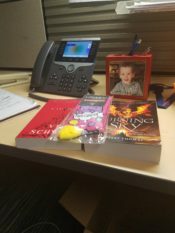 Share the post "Thanks Jennie for my CBR10 book exchange gifts!" CBR Book Exchange: Thank you, borisanne! Thank you, thank you, thank you! I received a Kindle copy of the celebrity memoir This Will Only Hurt a Little the day before Christmas, and a follow up package with a Hogwarts mug that looks like a cauldron (y’all, it’s got little legs/stands) after Christmas. Super excited about both, and I have already started the memoir, and some of her comments are so relatable! Thank you again to borisanne, I know you mentioned some logistical issues (I will definitely pick up Educated!) but it was perfect and thoughtful! 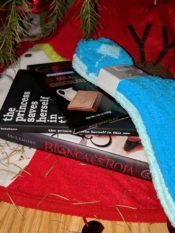 Share the post "CBR Book Exchange: Thank you, borisanne!" Pictured…my very boring desk at work. Thank you Ale for the lovely goodies, especially the socks (I teared up a little, I’m not going to lie.) This community is the best! Smoochies. 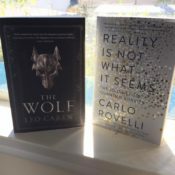 Share the post "Book exchange 2018"
Book mail is always the best mail! Many thanks to Allison O. for sending me the books below and for this gorgeous watercolor card. We have some seriously talented people in CBR. I love that both books have a feminist edge! Share the post "Thanks, Allison O!" Happy Jolabokaflod, everyone! As is tradition, we all just opened our Cannonball exchange books, and everyone is over the moon. Big thanks to avivaguthrie, debcapsfan, blackraven, and fainting violet for filling our home with Stuart Gibbs and World War II and glorious graphic novels (Mockingbird!) and narwhals and horses and unicorns and book plates and Homegoing and Born Confused! You all rock and we couldn’t be more grateful for everything. Happy holidays!! Share the post "Its Jolabokaflod time!!" Share the post "It’s the Most Wonderful Time of the Year"
A huge thank you to Crystal Clear for jump starting my next CBR, which will hopefully be more successful than this one was. I read 21 books and managed to review none of them, so there’s no where to go but up! Share the post "A friendly kick in the pants"